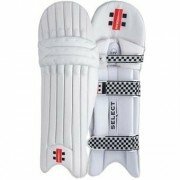 Gray Nicolls cricket batting pads are some of the highest quality cricket batting pads on the market. 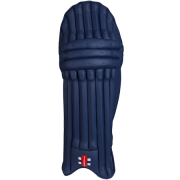 They use both traditional and contempory batting pad designs. 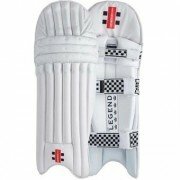 The Gray Nicolls Legend cricket batting pads are some of the best available. Gray Nicolls is the choice of England captain Alastair Cook whilst the brand new 2017 Gray Nicolls Predator 3 cricket batting pads are sure to be very popular at All Rounder Cricket in 2018. 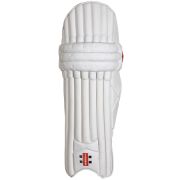 Gray Nicolls' wide range of cricket batting pads means that there is a style, colour and performance level that will fit your needs! 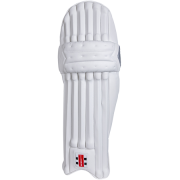 Gray Nicolls range of batting pads has been used cricketers from around the world, such as David Warner and Alex Hales, so if they are good enough for them, then they will be good enough for you! Gray Nicolls are renowned for their high quality cricket legguards with traditional design and the most up to date technology offering protection to any standard of cricket. Supernova Test, 900 and 500.